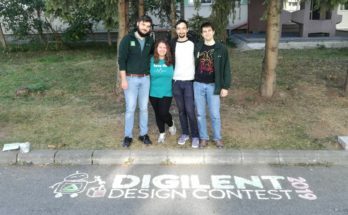 You may be wondering how exactly the winner of the Digilent Design Contest is chosen as well as who decides, and what the criteria are. Well, you can find the criteria online under the Resources page of the Design Contest in the Information Packet section. An abridged version of the Project Evaluation Form is detailed below! (Poor) 1 2 3 4 5 (Best) Is the project complex? Was the hardware used to its capacity? Was the software original and fully functional? Note: the project complexity will be evaluated in correlation with the students’ level of studies. (Poor) 1 2 3 4 5 (Best) How well is the code commented? How is it structured? Is the hardware structured as well and parts are grouped in a logical manner for different functionalities? Are presenters professional, confident, comfortable and enthusiastic? Is the presentation thorough, well structured, clear, compelling, logical, informative, and professionally delivered? Is the core, underlying idea understandable, believable, innovative, creative, feasible, path-breaking, etc? Does the project solve a problem? Could the idea be commercialized? Did the presenter make a good sales pitch? Was the video compelling? Was there any feedback from community members on the feasibility of the idea? Jim Burnham, commonly referred to as “Jimbo”, is a Product Marketing Manager for Boards and Kits at Xilinx. He is responsible for the Zynq and Zynq UltraScale+ MPSoC evaluation boards that Xilinx customers use to build cool products. While not driving innovation with the Xilinx evaluation boards, Jim spends a lot of time thinking about Halloween, and building DIY Halloween Props for his Squeaky Hinge’s Haunted Garage, which he host each year. Or you can find him playing in the ocean on a kayak or stand up paddle board, or winter camping in an Igloo… but even there, he is secretly thinking about Halloween. Clint Cole, Digilent CTO, has worked at Hewlett-Packard, Physio-Control, and Heartstream. He co-founded Heartstream in 1991, serving as lead engineer until Hewlett-Packard purchased the company in 1997. He co-founded Digilent in 2000, where he currently serves as CTO. He is also on the faculty at Washington State University, where he teaches many different engineering courses. Joe Harris, M.B.A., J.D., Vice President, manages the business operations of Digilent including manufacturing, sales and customer service, accounting, finance and corporate issues. He has worked in the high-tech industry for 15+ years and is a Fulbright Fellow to Albania where he worked with micro-business development issues. Kinga Katalin Illyes graduated from Technical University of Cluj-Napoca, Computer Science Department, in 2013. In 2012, she did an internship at Ecole Normale Superieure de Lyon, France, working with the AriC team, on a floating point core generator. Since 2013, she is working at National Instruments Romania and is a teaching assistant at TUCN (Logic Design- 1st year). Bogdan Popa graduated in 2013, from Technical University of Cluj-Napoca, Computer Science Department. Currently, he is a full-time engineer at National Instruments Romania and teaching assistant at TUCN (Computer Architecture – 2nd year). In his spare time, he loves tinkering with various FPGA projects and programming in Python. Zoltan Baruch holds a Dipl. Eng. 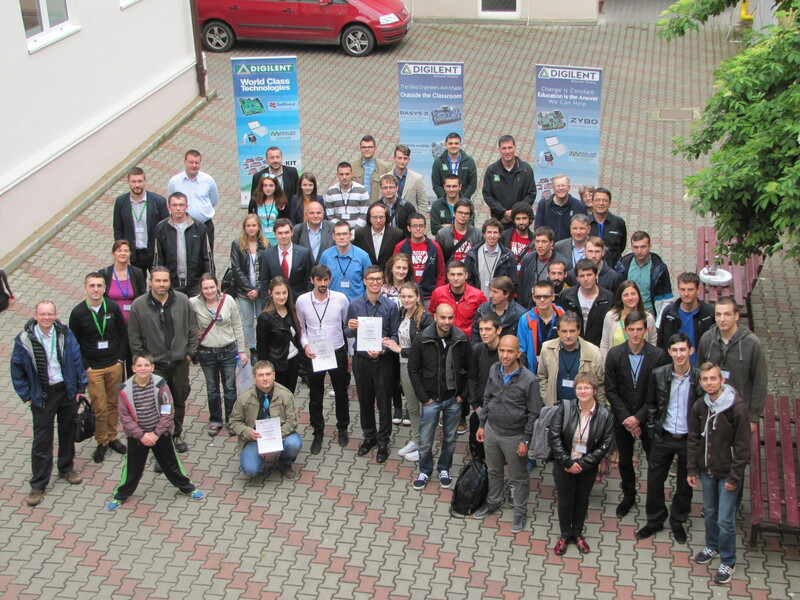 degree and a Ph.D. degree from Technical University of Cluj-Napoca, Romania. He is a Member of ACM / SIGDA (Special Interest Group on Design Automation) and of IEEE Computer Society; he also teaches Structure of Computer Systems, Computer Architecture, Input/Output Systems and Peripheral Devices at the Technical University of Cluj-Napoca. We have seen some amazing projects this year (especially using FPGAs), and are very excited to announce the winners on Monday. Keep an eye on the blog and our social media channels to see who will win this edition! 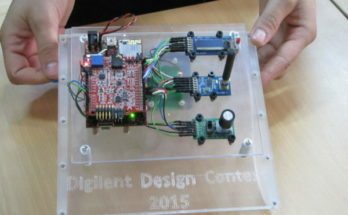 The Finals of the Digilent Design Contest are Almost Here! Previous Article How to program your FPGA – There are four ways! 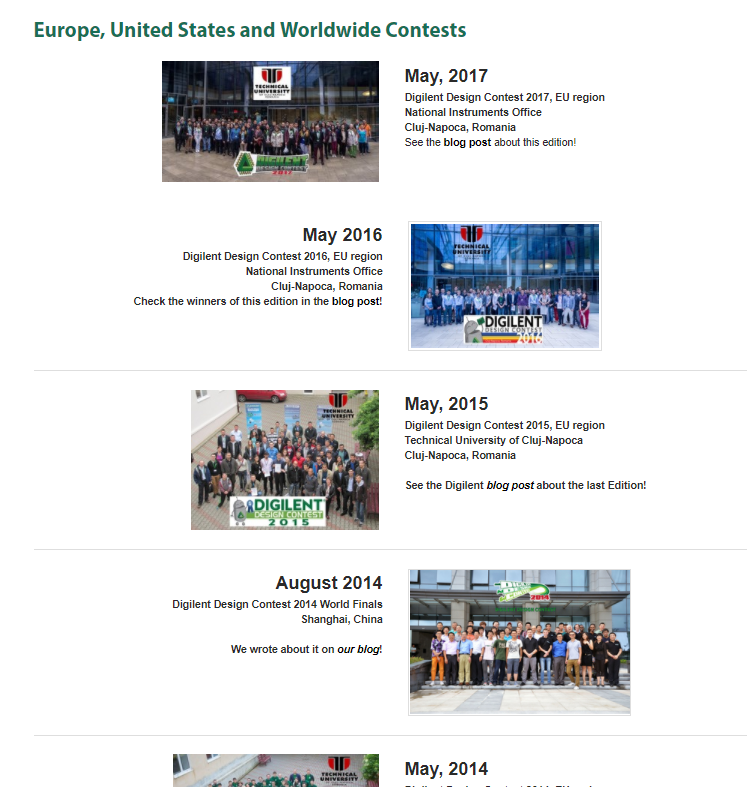 Next Article Digilent Design Contest Europe 2016 Winners Announced!